We all know how amazing breastmilk is, but did you know it can help your baby through teething as well? Introducing, breastmilk popsicles. Not only are these little treats great for soothing the pain of teething, but they also can help cool down your little one in the scorching SA summer. Read on below for your recipe on how to make breastmilk popsicles. 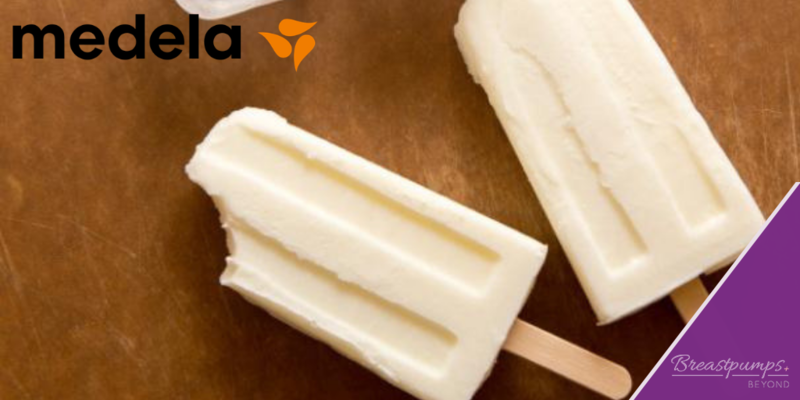 Start out with only serving your baby pure breastmilk popsicles. At a later stage, once they have been introduced to solids, start mixing up the flavours and incorporating some fruits into the recipe. Keep in mind though, it is essential that should you do this, that you use a blender to blend everything together. Fruit chunks can be a choking hazard for your baby. Basically, all you will need for this recipe is a popsicle tray suitable for babies and yourself. A breast pump is incredibly handy to help you express enough milk to create these tasty treats. If you do not have a popsicle tray, pop the mixture into an ice tray and let it set. You can then pop the cube into a mesh feeder and voila! Place all of the ingredients into a bowl (if using a hand mixer) or mixer jug, and blitz away. Ensure that everything is completely emulsified and avoid any bumps in the mixture. Spoon the mixture into your ice tray or popsicle mould in equal measures. When you pack away your popsicles, be sure to pack them into an airtight, freezer friendly container. They can be stored for up to three months. Once you have introduced your baby to solids, start playing with flavour combinations and ratios! This is the best way to feed your little one in hot months and a fresh idea to boot!